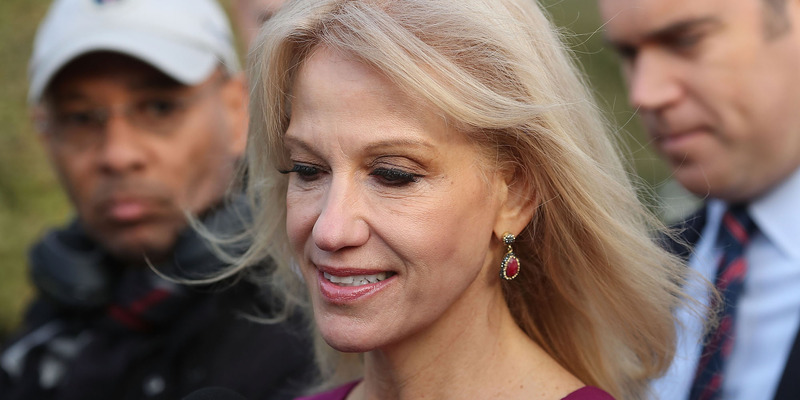 White House counselor Kellyanne Conway told a reporter that her husband’s anti-Trump tweets were “disrespectful” and “a violation of basic decency,” but she only wanted to be quoted on background. Washington Post reporter Ben Terris published an extensive profile of the dynamic between Conway and her husband, conservative lawyer George Conway, on Tuesday. It was the first story in which the two opened up about how President Donald Trump has complicated their relationship. For more than a year, George has been publicly critical of the president on Twitter, while Kellyanne is often on TV defending him. In the Post profile, George, who introduced Kellyanne to Trump, said he now wishes he never did. “I think it disrespects his wife,” she said. A few days later, Terris circled back on the remark. And Kellyanne expanded on her thoughts. Terris refused, saying they were on the record during this portion of the discussion. “You can’t say after the fact ‘as someone familiar,'” Terris said. “I told you everything about his tweets was off the record,” Kellyanne responded. Kellyanne pivoted to framing her original comment not as her own thoughts, but of how other people view her husband’s tweets. “I’ve never actually said what I think about it and I won’t say what I think about it, which tells you what I think about it,” she added.